Not wanting to stop there, Henry then came up with the idea of kite skiing to the exact centre of the Antarctic continent, the Pole of Inaccessibility. 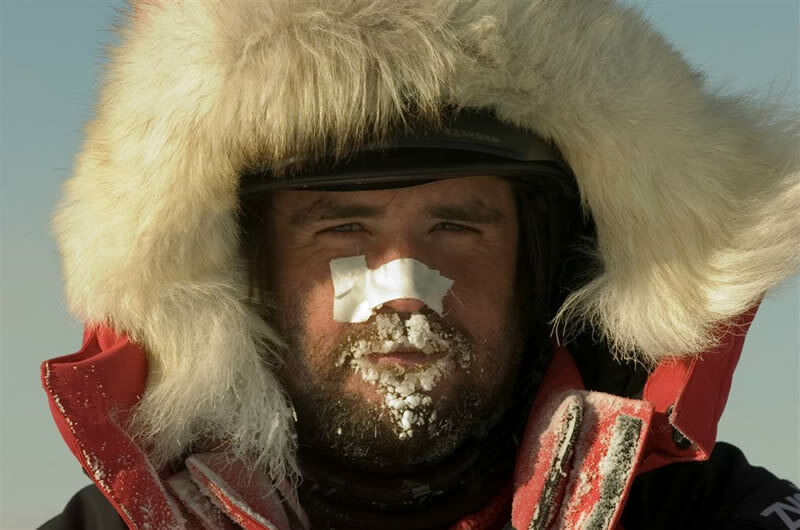 In November 2006, the 3 members of Team Hardware.com were joined by veteran polar guide, Paul Landry forming Team N2i for their next challenge. The only previous visitors were a handful of mechanized expeditions between 1948 and the mid 60's -the first to reach this point being the 3rd Soviet Antarctic Expedition- taking two years to reach the Pole and on their departure allegedly left a statue of Lenin as a tribute to their success. On 19th January 2007, after 49 days and 1,056 miles the team reached the Pole of Inaccessibility rediscovering Lenin and entering the Guinness Book of Records as the First People to Reach the Pole of Inaccessibility by non-mechanical means. In the 2010 edition Guinness also classified this feat as one of the "Top 100 Records of the Decade".